TIFF 2018 has come and gone already. For those who didn’t have time to volunteer, or have the money or star status to walk the red carpet, it seems the festival flew by. For all of you who have not had a chance to see what’s going to be releasing to local theatres soon, here is a run-down of what is most anticipated and exciting about this year’s lineup. This is by far the film I am personally most excited for. As a horror fan, the Halloween franchise is one of those big, iconic bodies of films that have always been enjoyable. The 1978 original film absolutely terrified me when I was younger, and it seems that sense of terror will return in this new sequel. 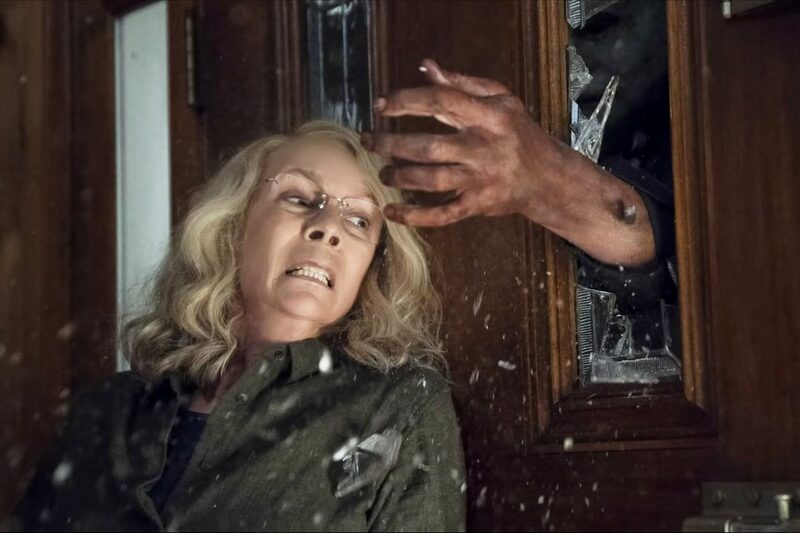 The trailers suggest a return to form for the franchise, relying more on actual suspense and tension rather than a more visceral type of horror present in the Rob Zombie reboots. Another bonus is that initial reviews are overwhelmingly positive, perhaps this is the Halloween film we deserve. The Predator is another sequel/reboot for a franchise that has been put on the back-burner for the past few years, a franchise that also relies on action and tension. Unfortunately, the Predator franchise has been mistreated with its last few instalments, and the hope with this 2018 film is to revitalize interest with an incredibly gory and visceral experience. Trailers hinted that the film would be a subversion on the classic films because of the introduction of a bigger, badder Predator for both humans and a solo predator to deal with. Unfortunately, reviews have been, at best, so-so. The most criticism seems to be directed at the writing and sense of representation, while praising the violence and action. Regardless of reviews, I think many Predator fans will go out to see this exciting new addition. Colette has been presented as another film in the tradition of a modern prestige film period piece. Set in late nineteenth century France, the film is a biopic on the famous author of the time, Colette. The trailer depicts the successes, struggles and turmoil surrounding her life, writing and relationships. The trailer also suggests the LGBTQ+ element of the film with Colette’s relationship to another female character. Early reviews are positive, but time will tell when the film receives its wide release later this month. First Man is another popular biopic that screened at TIFF this year. This one from the director Damien Chazelle, of Whiplash and La La Land fame, is the story of Neil Armstrong, his experiences in preparing for space travel and of the Apollo 11 program. This film looks particularly intense from the trailer, often framed in uncomfortable close-ups, Ryan Gosling’s performance as Armstrong has been highly praised. First Man promises to be a gripping thriller that has also been discussed as a heavily nominated film for this year’s Oscars. If Beale Street Could Talk is the latest film from Barry Jenkins, the greatly anticipated follow-up to his 2016 film Moonlight. The film is adapted from the James Baldwin novel of the same name from 1974. The story centres on two young black lovers in the 70’s, Fonny and Tish. Fonny is accused and jailed for a crime he did not commit and Tish sets out to prove his innocence. Adding to the emotional stakes, Tish finds out she is pregnant and races to free him in time for the birth. The trailer depicts an emotional and tense film, framing characters in close-up’s, and focusing on raw emotion in every shot. Jenkin’s camera has the same emotional and sympathetic gaze as in Moonlight but transported to a period setting. Early reviews give praise to the film and it is beyond exciting to see Jenkins continue to expand his filmography. A Star is Born is a remake of the classic 1930’s American film. Starring and directed by Bradley Cooper in his directorial debut, the film also co-stars Lady Gaga in what is raved about as a show stealing role. Early reviews argue that the film is just as good as the original story, exploring similar themes and having a steady, unified visual approach. While the story is not a new one, the well lauded film promises to be a hit on wide release.